Welcome to Great Investment Realty’s website. We hope you find the property you are looking for. Our associates are always ready to assist you, whether you are buying or selling a home. As long time residents of South Florida, my husband Orlando Gonzalez and I enjoy the opportunity to showcase our exciting community. For several years we have worked side-by-side, helping our clients find the perfect home or commercial property. Because of our dedication and effort, we have successfully launched our own company, Great Investments Realty, to better meet the needs of our growing community. This has been our dream and our goal. Thanks to so many loyal customers that have trusted in us we are here today. We offer the public the very best service from a group of knowledgeable professionals dedicated to working hard to meet our customers’ expectations through product knowledge, marketing strategies and exceptional service. 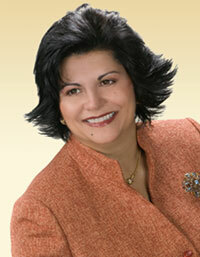 Attended Miami Dade Community College where she studied Business Administration. An experienced Realtor® for the past seven years, providing insight and expertise to buyers and sellers in the marketing and sale of residential and commercial properties. Over 25 years experience in management of successful family retail business. Experienced in retail and wholesale markets. Involved in customer service. I believe the customer always comes first and deserves to be treated professionally, honestly and fairly. I like the customer to feel comfortable with our services and always feel assured to be receiving the very best service from a dedicated professional. Very knowledgeable in working with the general public. Goal driven – setting high goals and reaching them through hard work and determination. World traveler – I have been fortunate to travel to different parts of the world… because of Orlando’s award winning sales strategies! Hobbies are reading and taking care of my parrot.